Black Hair Shampoo works effectively in giving out the best nourishment to your damaged hair. It really works as an effective hair treatment program for your broken hair. This Black Hair Shampoo underpins sustenance to a significant level. The natural and herbal hair shampoo gives out the perfect hair treatment for every type of hair. With the use of Black Hair Shampoo, the magical bounce and volume are easier to achieve. Thus, this Black Hair Shampoo works as a top-notch shampoo in re-building and vitalizing your unhealthy hair. 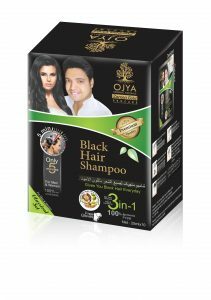 The Black Hair Shampoo from OJYA Natural has its supply across the international periphery. We are the chief Black Hair Shampoo manufacturer and have a commanding position with a wide number of suppliers. In addition to this, we participate as Black Hair Shampoo exporter too. We gained a high-end reputation in the market both as an efficient manufacturer and exporter. We offer our client the best quality hair products made out of 100% herbal ingredients. 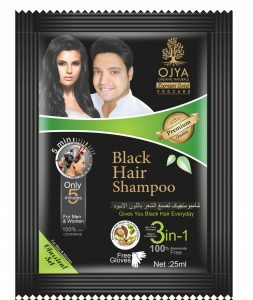 Black Hair Shampoo from OJYA Natural is packed in a secure and durable sachet for long-lasting usage. These packets are leak-proof and can’t break easily from manhandling. The Ojya Natural maintains a high-end packaging to prevent it from any leakage or breakage. The lustrous sheen of hair Black Hair Shampoo treated promotes your confidence and takes you to a position which makes you stand out in the crowd. It incorporates advanced protection solution without damaging your hair. The shampoo devises a natural composition which leads to no side effects and harm. The shampoo has ammonia-free formulation resulting in a vivid and long-lasting shine. We have become one of the leading manufacturers and exporters on the market with enormous popularity and industry learning. Our company believes in quality and we therefore passionately commit ourselves to it. In recent years our company has successfully preserved our customers ‘ faith. Our customers, however, are very satisfied with the use of our hair products. We are also proud to be the country’s leading exporter and distributor. OJYA Naturals’ hair shampoo is easily available in every city being the largest network of suppliers. Make a paste with warm water and beat till the lumps disappear. Leave the smooth paste for 15 – 20 minutes to bring the warmth at the room temperature. Segregate the hair into parts or areas and apply the smooth paste completely all through hair utilizing the brush. To guarantee even shading advancement, use fingertips to massage hair shafts. You may run a wide-toothed comb through hair for better spread. Leave it for around 90 to 120 minutes. Rinse completely with water to flush out any traces.